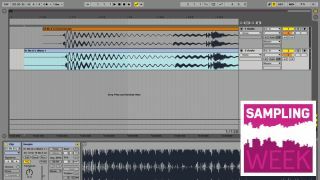 SAMPLING WEEK: The simplest way to create a DIY acapella requires you to have both the full vocal and instrumental versions in your possession. The theory is that the only difference between these versions will be the vocal. Therefore, inverting the polarity of one of the tracks' waveforms will cause everything apart from the vocal to disappear thanks to the magic of destructive interference. For more on remixing, grab Future Music 298, which is on sale now.